QualitySolicitors Brennans got its fifteen minutes of fame this week, when the cast and crew of ITV's Vera came to film right on our doorstep. 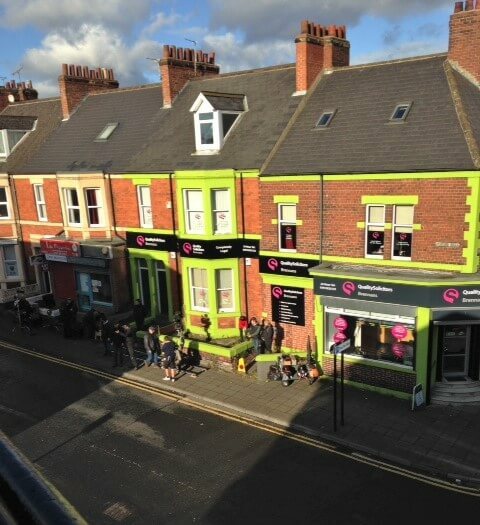 Just like the rest of Wallsend, our office was full of excitement when a producer from the hit ITV show knocked on our door to ask for permission to shoot in front of our building. The street quickly filled with cameramen, directors and equipment. After much planning and preparation, at around 3pm Brenda Brethyn herself was spotted just outside of the Wallsend metro station, ready for action. As takes 1, 2 and 3 were shot, passers by watched in anticipation as Vera's iconic blue Land Rover was filmed passing by the Metro station with the Segedunum viewing tower on the horizon. So when you tune into the next series, watch out for a glimpse of our green Brennans office as Vera passes through Wallsend.